Every business has to struggle hard to extract the best performance out of employees. While some companies use the mix of various managerial tools, there are others who believe in the process of earning from learning. As a matter of fact, learning is one of the simplest ways to improve the performance of human resource of an organization. For those organizations, which seek to find cost effective ways of imparting learning process, e-Learning is the best tool at hand. However, learning is sometimes frustrating and uninteresting. But when learning is inherent in a job, the task of the management becomes easier. There are various things that one must incorporate in order to accelerate the process of learning. Firstly, if employees know that have to learn, things will get pretty difficult for the management because employees have a tendency to repel new changes. As such, learning should be inherent in the business, so that the employees know that they are gaining something out of the process. E-learning is straightforward and uncomplicated. Organizations that have incorporated e-learning in daily routine have witnessed improved performance overall at all levels. Management might have several issues with a new system, just like the employees, but the top management needs to find the return on investment. Needless to mention, just like employees, management, too has to involve a lot of efforts and time, which often can be of real worry. 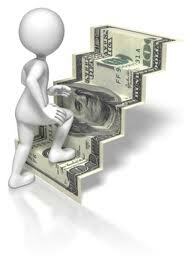 There are many companies in the world, which have been hugely benefitted from the earning from learning process. On the onset, it can be said that the process works largely for employees. However, there are many companies, which use the technique for improving their output. It is like a source of motivation for the employees, unlike monetary motivation, that seeks to bring the best from them without giving extra pressure on the job. Earning is the prime concern for both employees and the organization, but doing the same job constantly for years reduces the pleasure of doing it. When the effectiveness of the mind improves, there is an increased desire to do things better and faster, which in turn can be of immense benefit to the business itself. Instead of hiring new staff and training them for new jobs, improving the abilities of present staff is a much better concept because the management can control them better. Learning and earning are essential components of every business that wishes to grow and develop on a constant basis. In her ideal class, Sarah Zurhellen would have the students in her American literature course meet in person just once a week. Everything else would be done online. This can't be a reality because of the current structure of MU, Zurhellen said. Still, the doctoral student comes as close as she can; her students often have time out of the classroom to research or write and, meanwhile, do the rest of their coursework and discussion online. "I think that there is value always to having the conversation, but there’s also value to having a week off from class to work on writing," said Zurhellen, who plans a career in college teaching. "I mean, that’s a different form of articulating your ideas, and it’s more complex than classroom discussion." Her students are required to share their writing online through a class Wiki, a website that allows multiple users to contribute content. There, students can see and comment on each others' work. To safeguard student privacy, they use pseudonyms for all online work. To follow up, students often meet in small groups to discuss their writing. Integrating digital technology into the learning process is increasingly common. More than 75 percent of MU courses are on Blackboard. Last year, the number of hours students watched recordings on Tegrity, a program some professors use to capture their lectures, doubled. In the past five years, the number of MU students enrolling in distance online courses has almost doubled. The number of fully online offerings has gone from about 300 to more than 550 courses. Ten years ago, MU had 11 online degrees or certificates. Today, there are more than 50. As online courses and degree offerings increase, the traditional roles of student and teacher are changing. They continue to change as administrators and faculty support the proliferation of eLearning across the University of Missouri System. However, there is some concern among faculty that the integrity of academic institutions might be at stake. MU doctoral student Peter Ramey sees a difference between how students and teachers interact online. In his online British literature class, he required students to write a weekly reading journal using a blog. Here, they were to reflect on what they had learned and pose questions. Ramey then commented on the posts, answering students' questions and helping them understand the content better. He said he appreciated this consistent, individualized give-and-take with the students that would be impossible in a traditional classroom. Ramey said another advantage is that interacting online helps some students feel more comfortable participating in discussion than they would in person. Further, he said, there is a value in learning to communicate online — a skill important in many modern work environments. In her American literature class, Zurhellen covers a range of writings stretching from the time of Columbus until now, so she said it is important for students to take time to think about and articulate their ideas. She has taught one class entirely online but prefers a hybrid approach. She thinks the face-to-face time in her class is best used for discussion and analysis. "I'm really trying to get students to see that so much of the stuff that they rely on a lecture to give is available free online," Zurhellen said. "What you should be getting out of this (classroom) experience is talking about the material and the ideas that come out of it." Kellie Grasman of Missouri University of Science and Technology in Rolla teaches "Economic Analysis of Engineering Projects," a class that teaches students how to assess engineering projects from a financial perspective. About 600 students take the class each year, including students in a cooperative degree program in Springfield. Grasman received funding from the UM System to develop an online version of the course to serve students at a distance. In creating material for them, she realized that her on-campus students could benefit from those resources. Now, she offers the online elements as part of the on-campus version of the course. Throughout the semester, the students may choose to participate in the traditional classroom environment or learn independently or with groups of friends using the resources online. Grasman expects that the students who come to class have gone over the material for the week and are there to ask questions and work collectively to reinforce what they've learned. She said that because the information is all online for students to revisit as they need to, she spends much less time repeating concepts. Grasman estimated that on any given day, fewer than half of the registered students show up to the class. “I'm not offended that they don’t come to my class, because I know they can access any of the content on their own time,” Grasman said. “If they are comfortable with learning independently, it gives me more time to focus on the students who need more input and personal instruction." Teachers increasingly make use of online communication tools to enhance their teaching. Zurhellen uses Diigo, an online bookmarking tool that allows students to bookmark a link to a webpage and share it with the rest of the class. Students can also highlight and comment on those bookmarked pages. Zurhellen makes herself available to students via Skype, to answer questions via the Internet outside of class hours. At the University of Missouri-St. Louis, Lisa Dorner said that to create a successful online classroom environment, it is important not to rely just on writing for communication with her students. "It is key to constantly research the new free tools that appear almost daily online," she said. Dorner likes VoiceThread, an online interactive multimedia slideshow that allows students to respond to pieces of media and leave comments for each other using a recording of their voice, text or a video of themselves. For students and teachers alike, the convenience of online classes is a major pro. The earliest distance learning came in the form of correspondence courses, in which course materials were mailed to people who couldn't take traditional on-campus courses. In recent years, though, distance learning has expanded, mostly due to the Internet. Students choose the online format for different reasons to best accommodate their particular constraints. "One of the main drivers for us is to create opportunities for the students and for faculty," said Zachary March, director of eLearning for the UM System. "For the students, it's to give them more options on being able to register for courses in an online format that may fit their schedule better," March said. "Maybe they work during the day or have family commitments, and maybe the course isn’t offered on a local campus and they can take it from another campus, so they can get their degree on a quicker timeline. So for the students, it’s all about the convenience factor." Nicole Bierman, a registered veterinary technician in St. Louis, is enrolled in biomedical pathophysiology, an online class offered through MU's College of Veterinary Medicine. "Working full time and being a parent and everything else I have in my life, it appealed to me because I could do it on my own time," Bierman said. She said it can be hard to find the time she needs to do the work for her class, but she uses it to teach her 8-year-old daughter the importance of scholarship. "We talked about the importance in studying," Bierman said. "I try to incorporate our studying together so she can see how important it is, not just for her but for me as well." In the same class is Giulia Lino, a sophomore at MU majoring in animal sciences. Lino, who is enrolled in 16 credit hours and has a part-time job, found the flexible hours of the class worked well with her schedule. "I figured it would be good, because it wouldn’t be an extra class to go to, but I could still learn a lot," Lino said. The time flexibility potentially extends to teachers. Faculty in the English Department offered Ramey the opportunity to teach his eight-week online course after he learned he and his wife were expecting a baby. Over the summer, he was able to travel, attend conferences and spend time with his new baby, all while teaching. Despite the opportunities that online learning can provide, there are drawbacks. Ramey suggests there is something missing in how the class communicates online. "What it won’t develop in students is real-time reaction and thinking collaboratively in the space of an hour," Ramey said. "And that translates into real experience if you have a job. In a meeting you have to be able to think and respond, so it’s not able to develop those skills." Russell Zguta, chairman of the MU Department of History, said one of his worries is a loss of faculty control over the curriculum. Zguta’s concern was heightened when he got two phone calls from people outside of MU saying they had Ph.D.s in history and offered to design courses for him. When he shared this information with the history department faculty, it led them to pass a resolution voicing their concerns, which they shared with administrators. Concerns outlined in the resolution included the potential for online offerings to take away resources from the department itself. Faculty were also worried about maintaining the integrity of courses, particularly ensuring that testing was done fairly. Ramey struggled with fair testing when teaching his online course. Despite his efforts to make his tests qualitative — requiring students to create their own answers rather than being able to copy things they could find on the Internet — he worried that cheating was still possible. "I would write exams and quizzes that would purposefully avoid students being able to Google the answer really quickly," he said. "But I feel like students could still find the answers if they were savvy enough — and they are. They can probably find all of that information on the web." Zurhellen said she never wants to teach only online. She wants to keep face-to-face teaching because it allows her to get to know her students. "I don’t like teaching fully online because I don't like never getting to see my students," Zurhellen said. "I had good students, but it's the first class I ever taught where I can't remember their names." Ramey agrees, saying that being with people will always be important. "Whether it's through the mail or it's electronic, face-to-face relationships will always have to supplement that — because we're social creatures, and real social is real bodies and real people talking. Next fall, MU will unveil a masters’ degree in business administration that will be offered completely online. This offering is part of a trend on the campus toward increasing online options. Jim Spain, vice provost for undergraduate studies, said demand has driven a lot of the growth. Faculty, especially within the College of Education and the Sinclair School of Nursing, observed a need to provide a way for professionals to advance their education while maintaining full-time jobs. This has pushed development of online offerings within the individual schools. More broadly, Spain said he thinks the expansion of online-based options helps advance the goal of the university to serve as many students across the state as possible. At the UM System level, March said his biggest project is a system-wide portal for online options. Students will be able to search online offerings in schools throughout the system rather than one campus at a time. This portal also will provide access to financial aid and billing information, as well as to Blackboard. March hoped to have the portal up and running this fall, but progress fell behind. He thinks it will be done by January. In addition, the system provides funding for campuses to boost their online presence. Last year, the UM System distributed just less than $500,000 across the four UM campuses to develop online courses, March said. Mostly, that facilitated the conversion of existing face-to-face classes to online. The money is typically used for faculty release time, hiring graduate students to help build the courses, development of programming, providing opportunities for faculty to go to conferences about eLearning or buying software intended to help illustrate concepts in an online format. This year, the system will provide $300,000 to $400,000 across campuses to be used for program development. This means that instead of the money going toward individual classes, it will go toward developing clusters of courses that will form certificate programs or full degree programs. March said he hopes to give out another round of funding in the next year or two to focus again on programs such as these, or maybe one that would cover collaborative online programs across the four campuses. The UM System has set up additional support within each campus to allow instructors to explore online options. There are instructional designers on each campus to help faculty develop materials that are understandable for online students. Also available are what March called "e-mentors," which are groups of four to five faculty members on each campus who are available to help online development from a faculty perspective. In December 2010, a group called the MU E-learning Task Force was created to make recommendations for how to best oversee a combination of The Center for Distance and Independent Study and MU Direct: Continuing and Distance Education into one body, called Mizzou Online. Last spring, those recommendations were compiled by the task force and are being used to guide Mizzou Online as it continues to learn how to best operate as a cohesive department. Academic concerns about teaching online will be addressed in a new faculty committee, called the Online Academic Program Task Force. Leona Rubin, associate professor of biomedical sciences in the College of Veterinary Medicine and former chairwoman of MU's Faculty Council, co-chairs the task force with John David, associate professor of biological sciences in the MU College of Arts and Science. "I think Jim Spain described this very well," Rubin said. "The first committee created the roads for how courses would be delivered, and now we have to create the regulations for the road." Intellectual property. When teachers create an online course with help and technology provided by MU, it is uncertain who owns that course. Rubin explained that most faculty think online course material can be sold, and if that were to happen, it is unclear who would get the money. Online course approval: Rubin said the council basically agrees that the process for approving a face-to-face course on campus should be the same for online courses. Money: The task force will need to address the issue of incentives, or how departments and faculty will be paid for their online work, Rubin said. She said that in the past, MU Direct returned money earned from online courses to the individual departments that offered them. Sometimes, depending on the arrangement, money was awarded to the faculty who taught those courses. However, she said, departments and faculty don’t get any extra money for teaching additional face-to-face courses. The task force will examine how this discrepancy should be addressed by MU administrators. Rubin said she hopes the task force will be finished with its discussions by the end of the fall semester. After that, members of the task force will share their thoughts in a series of faculty forums, which will include members of the task force as well as representatives of the general faculty. Then the task force will reconvene and formulate recommended policies to go to faculty council for discussion and approval. Council recommendations will then go to the provost for final approval. Guided by the principles that will be set forth by this committee, Spain said he expects to see MU's online presence continue to grow based on the steady increases in the past. Despite his hesitations, Zguta said he sees the inevitability of this growth. "This is obviously the wave of the future," he said. "Most universities are heavily involved. Even some of the finest offer courses online. So, I think we don’t want to be left behind, but at the same time we want to do it in a responsible way." Ramey agrees that changes such as these within MU should be made carefully. "All media shifts make everybody nervous," Ramey said. "And they should make us nervous because they threaten older paradigms. How this changes our social interactions, how thinking changes — there’s a lot to be concerned about." So what is this Preamble I am talking about? When OSHA promulgates a new or revised health or safety standard, they go through a long process by where they draft the proposed standard, publish it in the Federal Register as a Proposed Rule, and allow a period of time for stakeholders to comment on the proposed rule. After considering all the input provided by the stakeholders, OSHA will tweak the draft standard and then publish it in the Federal Register as a Final Rule, along with a wealth of other information gathered during the process. As a side note, this process usually takes 10+ years to complete, and in the end OSHA may actually abandon the proposed standard. In the section of the Federal Register titled “Summary and Explanation of the Standard”, OSHA will break the proposed draft standard down paragraph by paragraph, and include the many comments, questions, and concerns expressed by the stakeholders about each paragraph. This process reveals many ambiguous areas contained within the originally drafted standard, and OSHA’s subsequent explanation or rebuttal provided within this section of the Preamble often provides valuable insight into OSHA’s intent when they created the standard. Paragraph 1910.146(b) defines one of the three criteria of a “confined space” as "the space is large enough and so configured that an employee can bodily enter and perform assigned work". Many people are confused by the term “bodily enter”; it is not defined in the OSHA standard, and some people think it means that if the space is large enough and configured so an employee could place any part of their body inside the space, it would be a confined space. But in the Preamble to the Final Rule for the Permit-required Confined Space Entry Standard, the section that discusses this particular term explains that the standard is intended to cover only spaces that were large enough for the entire body of an employee to enter. So now we have a clear definition of the term “bodily enter” as it applies to this standard. Paragraph 1910.146(c)(5)(i) allows the employer to utilize “alternate entry procedures” to enter certain permit-required confined spaces where they are able to demonstrate that the only hazard posed by the permit space is an actual or potential hazardous atmosphere, as long as the employer can demonstrate that continuous forced-air ventilation alone is sufficient to maintain the permit space “safe for entry”. Unfortunately, the OSHA standard does not quantify what OSHA considers to be “safe for entry”. But in the section of the Preamble to the Final Rule that discusses paragraph(c)(5), OSHA explains that employers may use “a guideline of 50 percent of the level of flammable or toxic substances that would constitute a hazardous atmosphere in making the determination”. So now we know that using forced air ventilation to maintain flammable gas at no more than 5% of its LEL (half of the OSHA limit for a “hazardous atmosphere when considering flammable gas) would be considered “safe for entry” when utilizing these alternate entry procedures. Sure, many issues such as these are later clarified by OSHA in their letters of interpretations or directives, but those typically are created years after the standard has been published. So why wait? Be in the know from the beginning by reading the Preamble to the Final Rule whenever OSHA publishes a new or revised OSHA standard. Where can you locate Preambles to Final Rules published by OSHA? Sometimes you can simply “Google” the particular Federal Register you are looking for (e.g. : preamble final rule 1910.146) and sort through the results. Or you can go to www.FederalRegister.gov to search for the document or topic you seek (here is the link for the preamble to the permit-required confined space standard). Remember, however, that none of this applies to OSHA’s original standards that were issued back in the early ‘70’s, as those standards do not have a preamble. This applies only to those standards that were created or revised since then, such as but not limited to, Lockout/Tagout, Hazard Communication, Bloodborne Pathogens, Forklift Operator Training, Respiratory Protections, Personal Protective Equipment, Steel Erection, & Fall Protection and Prevention. One more important thing to keep in mind is that OSHA does occasionally issue technical corrections to standards through the Federal Register as well, so also search for any related preambles that address updates when researching a particular OSHA standard. Have you ever found a helpful “nugget” of information that was buried inside the Preamble to a particular OSHA standard that you found especially valuable? If so, or if you have other related comments about this topic, would you please share your experience with others in the comments section below? Interactivity can refer to a lot of things. In the online learning world, it often refers to collaboration & communication often done in discussions, blogs, chats, webinars, etc. However, the tips that follow are specifically for increasing the interactivity between the student and the content in your course. Although you may not have access to all the tools mentioned, just knowing about the possibilities may help you consider the options for increasing interactivity. Many presention lessons are locked-down funnelling the student from one topic to the next without allowing them any choice as to the order of topics covered or any interaction beyond read and click next. Consider adding a tabbed menu or navigation buttons in your presentation to allow students to choose how to navigate the lesson. This tiny bit of freedom can empower students as they take a bit more control of their own learning. For example, the image below shows how interactivity can allow students to choose which character they want to learn about. The opposit of this is when you have a powerpoint slide locked down slide by slide going through each and every character begining to end. Why not allow students the ability to choose? PowerPoint Tip: Do you use Powerpoint for your lessons? If you want a free tabbed template, there is one available here for free from Articulate. Using this template, you can put your lesson in there with the different topic headings and then students can choose which topic they want to go to. You may also be interested in these tips for spicing up your presentations. On a side note, if you use powerpoint and want to convert your powerpoint slides to flash, you can use this iSpring Free plug-in to convert it to flash which makes it very easy to then upload it into an LMS and students access it without powerpoint. Its pretty simple and free. Thinking back to High School, everyone loved "video" days where the room would be dark and students could just relax and take a nap for an hour or so... probabably not what the teacher had hoped for but often the outcome. Yes, a huge part of the problem is the quality of videos displayed but that is a seperate topic. Fortunately for online courses, one idea you can do to help students from dozing off is to use either Camtasia Quiz Feature or Raptivity to add questions or callouts to your videos. During the video, every few minutes, there is a pause and a multiple choice or essay question appears (the student awakes.."oh, I have to actually listen to the video", so he or she restarts the video and begins to pay attention a bit more). By incorporating these popup questions or callouts during the video, students are more likely to pay attention and teachers can ensure that the key concepts they want to emphasize are pointed out. In the face to face classroom, a teacher may pause a video to ask a question. This simply allows that same type of interjected interaction for an online course. Here are a few examples of video interactions from Raptivity. Practice makes perfect so why not allow students to practice a bit before they have to complete a graded assessment? Interactive practices and simulations help students practice what they have studied and encourages them to self-identify which areas they need to study more. Automatic feedback found in practices can be a powerful learning tool to help students before they have to complete a graded assignment, quiz, or test. Here are a few practices examples from Raptivity. Multiple choice & true false questions are common for learning vocabulary and knowledge so why not put them in a simple learning game and make it fun? Placing learning games prior to quizes or tests can be a great review for the students. Its similar to any other mutiple choice practice but way more fun. After all who wouldn't want to play the Millionaire Challenge! These interactions are important but may not fit in other categories. Learning obejcts such as flashcards, tables, and charts which the students can interact with can be more effective than just a simple image. Students are always on the go and the majority are already using mobile devices. Integrating mobile components can dramatically increase their interactivity with your course by making it accesible to them wherever they may be. Much of the examples mentioned previously published to Flash which works great on desktop computers and laptops. However, most don't work on mobile devices. If you have questions about why mobile-friendly content should be in your courses, check out this video on Mobile Technology. I'm going to post more on this topic in a later post but for now, here are just a couple links to some options for creating mobile content for online courses. What other tools have you used? Any other ways to increase the student-content interactivity?